Situated alongside the famous Jumeirah Beach Residence, this elegant hotel is within walking distance to Dubai Marina and The Palm Jumeirah. The beachfront boulevard “The Walk” offers unique shopping and dining, attractions such as Dubai Marina Mall, Mall of the Emirates, the indoor ski-slope, Wild Wadi Water Park or Souk Madinat are within easy reach. Dubai International Airport is about 42 km away. 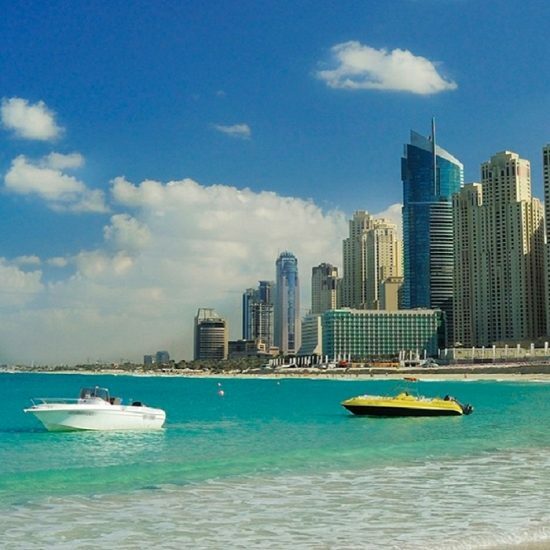 This elegant hotel is within walking distance to Dubai Marina and The Palm Jumeirah.